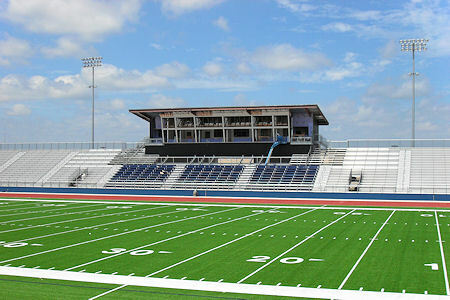 Brand new stadium for Paris High School (Paris ISD, opens August 2010). Part of a new 230,000 Sq. Ft. high school complex on 72 acres. Includes new school building and multi-purpose athletic facilities.